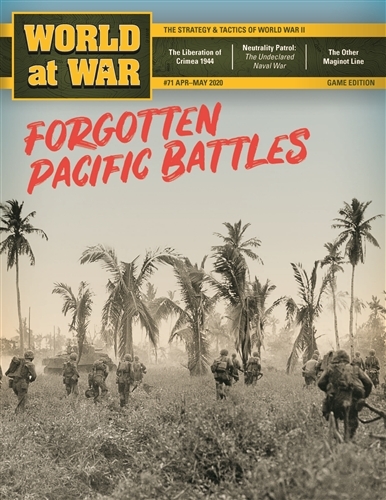 Forgotten Pacific Battles is a solitaire game using the standard Fire & Movement (F&M) rules and a series of exclusive rules covering each scenario. There are individual scenarios for the islands of Engebi, Eniwetok, Parry, Guam, Tinian and Angaur. 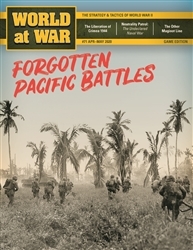 Each scenario can be played separately or as part of two different campaign games. Designed as a solitaire game, the scenarios include instructions for a two player version. The unit counters represent company to regimental-sized units that participated or might have participated in the battle. The islands are depicted at a scale of 500 meters to the hex with Guam being depicted at 1 mile to the hex.